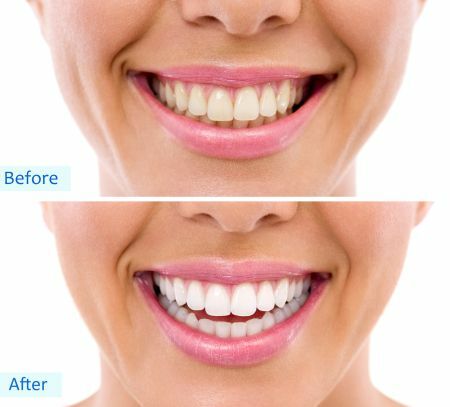 Teeth whitening lighten the teeth and help remove stains and discoloration.Teeth whitening procedure is a very effective way of lightening the natural color of the teeth without removing any of the tooth surface. At-home treatment – A mold of your teeth is made and then a clear plastic tray is customized for you. At home, you will fill your custom-made tray with whitening gel. This gel will stay on your teeth for at least an hour. 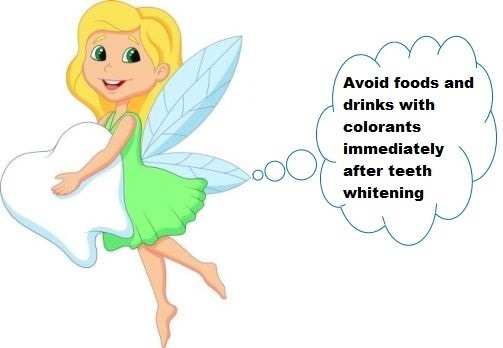 It is recommended to avoid foods and drinks with colorants immediately after teeth whitening .